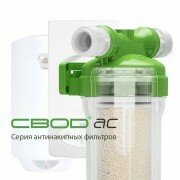 "Water is the "juice of life"!" 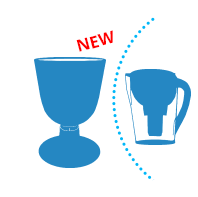 Water is a unique substance, which is today the basis of healthy nutrition! From it there evolved all the living beings and on Earth today there is no even the most primitive living creatures and no plants, which would not have been out of the water and did not do it without it. 80% of the weight of all plants and 70% of the weight of the animals falls on the water. 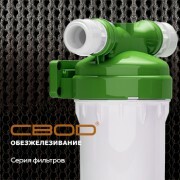 The human body for more than 60% consists of water. 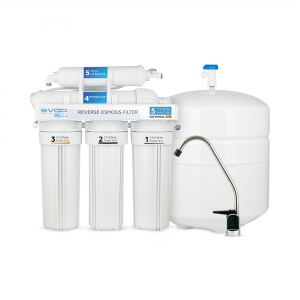 As water is necessary to comply with any physiological process, it is rationally distributed to all organs and tissues to the necessary extent. THE DANGER OF POLLUTED WATER! A person can live several months without food, but no more than 2 weeks without water, and without air for a few minutes. 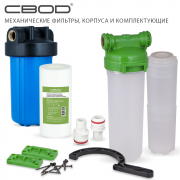 Since the human body doesn't hold moisture, you have to constantly replenish liquid which is lost during normal physiological activities such as respiration, perspiration and urination. Water is an essential part of the diet for all mammals. If the human body loses more than 10% water, it can lead to death. The tissues of the human body while ageing, are losing water. 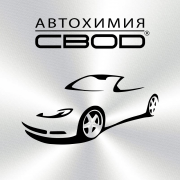 From the calculation of fat-free body mass. 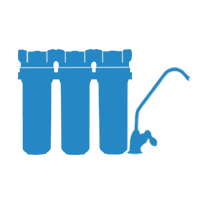 In babies water makes up 80.6% of the body, in adults – 75.9%, in the elderly 65-70%. 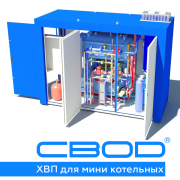 The loss of more than 1% of water from the human body leads to 10% of loss of energy. 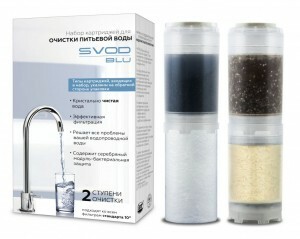 In order to feel well, one should use only clean drinking water. 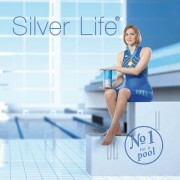 Scientists have found a direct link between the quality of drinking water and life expectancy. 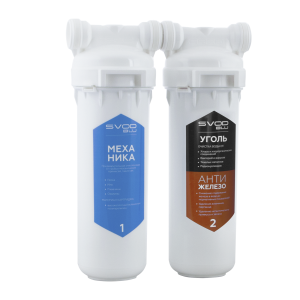 According to the world health organization, about 80% of human diseases are caused by the consumption for drinking contaminated water. 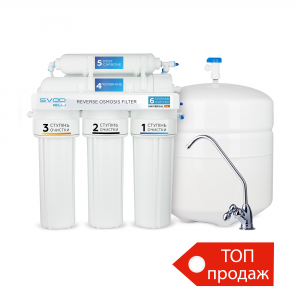 The water, which flows from the tap contains many impurities such as sand, scale, soil and chemical substances — iron, calcium and magnesium, that their presence makes the water hard. 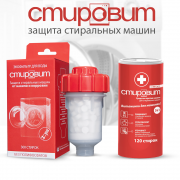 If you use such water, the chemical elements will not be absorbed by the body, as stated in the advertisement, but rather settle in the kidneys, the gallbladder and will bring enormous damage to the liver. 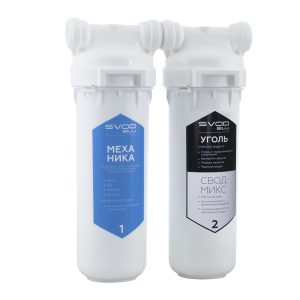 Moreover, such water is the source of reproduction of many viruses and bacteria that are very dangerous for the human body. 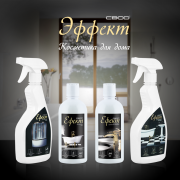 Many diseases can be avoided if you use water that has passed through an efficient cleaning system. The most common connection scheme involves the tie-in to the service main of a special tee for the selection of water. 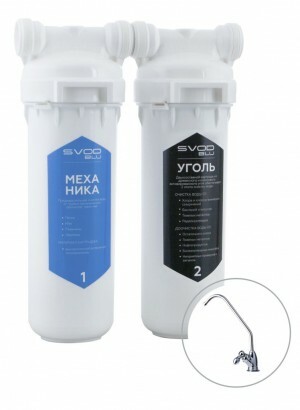 The water is purified by the filter and fed through a separate tap. 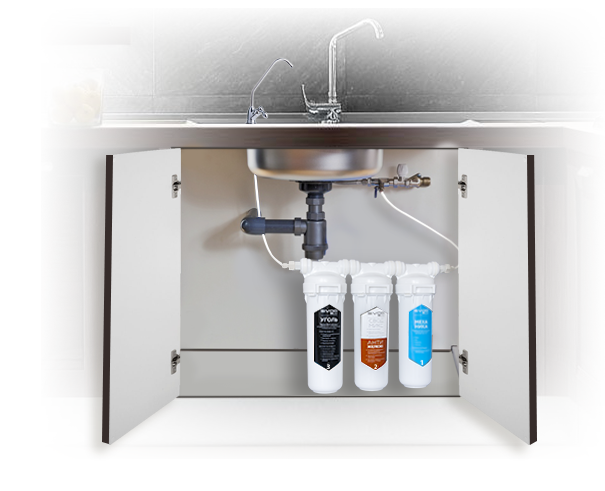 Water filters under the sink can have from two to five stages of cleaning. 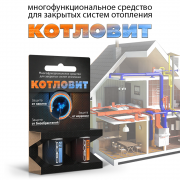 That is, their design includes several modules, each of which has its own specifics and purpose. 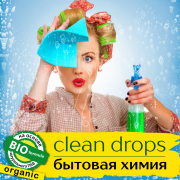 By the way, the number of modules may be less than the number of nominated stages of cleaning. 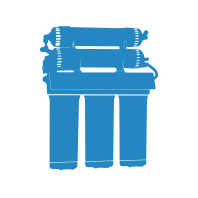 This is due to the design of some cartridges, which combine two purification technologies. 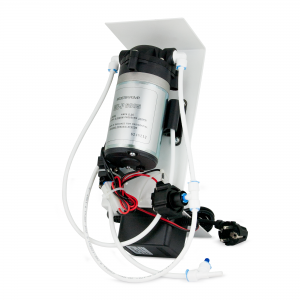 By combining different modules, you can create the best water purification system for almost any conditions. 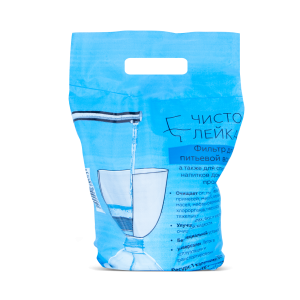 Recently table filters in the form of a watering can have been gaining popularity. 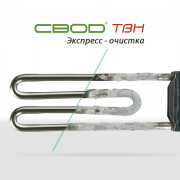 They do not require special installation, have got very user-friendly operation, transportable, so you can take them with you to the cottage, to the seaside, camping. And affordable, which is important. 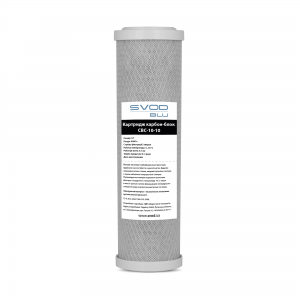 Water treatment in such filters is achieved by filtration and passage of water through sorption and/or ion exchange materials (resins). 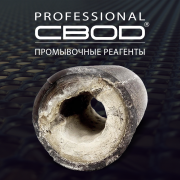 Convenience and versatility in use are its main advantages. 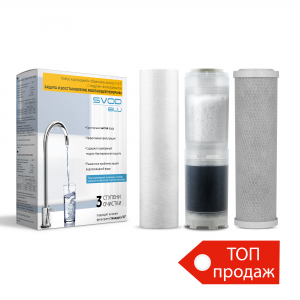 In a minute it will solve the issue of purification of drinking water, install it on a bottle, jar, kettle, or any container available at hand. 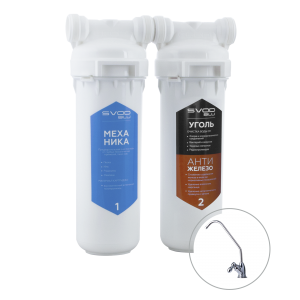 A specially selected set of materials in the composition of the cartridge allows to remove from water undesirable impurities and as a consequence to receive tasty, high-quality and safe water. 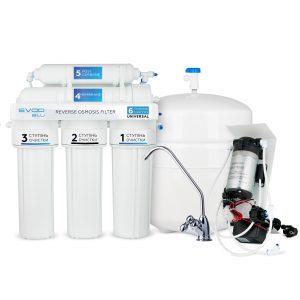 The main component of reverse osmosis filters is a partially permeable membrane. 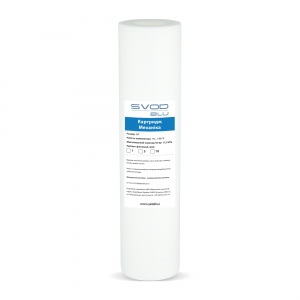 It is also called selective or differentially-permeable membrane. 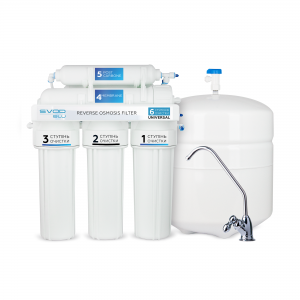 In operation, the filter delivers to the membrane water under pressure, causing the water molecules to pass through, whereas more than 95 percent of all chemicals dissolved in water, impurities and microorganisms are filtered out. Filters of this type consist not only of a selective membrane. 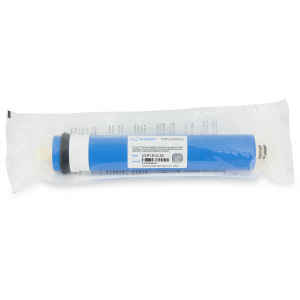 They usually include two to four mechanical and sorption filtration cartridges, before the membrane. 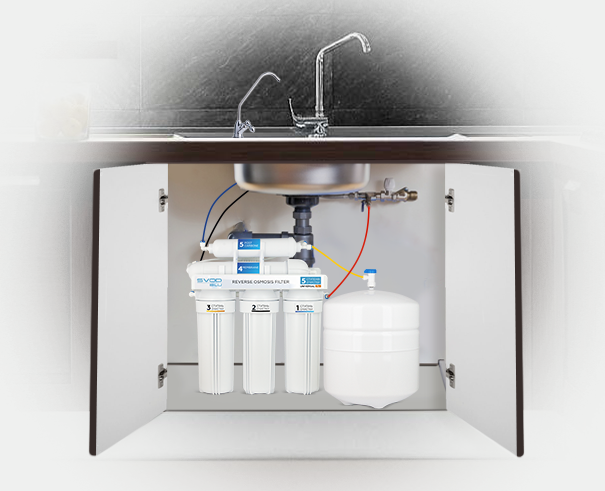 This is necessary because if unprepared water is served to it immediately, then the membrane will quickly become clogged and fail. 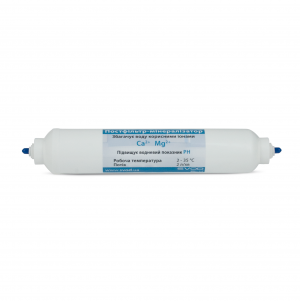 In order to restore the structure of water, after partially permeable membrane a mineralizer is installed. 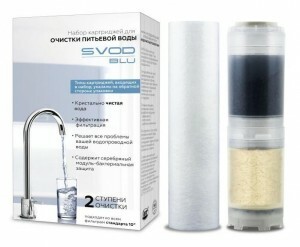 The water is enriched with a small amount of mineral substances. 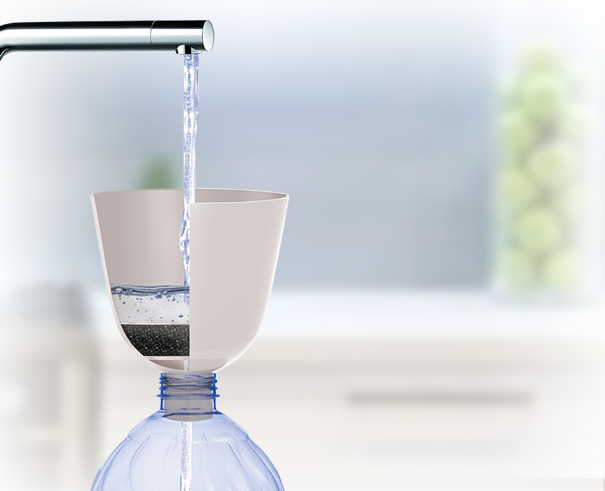 ​The filter-watering can become a reliable assistant in your life. 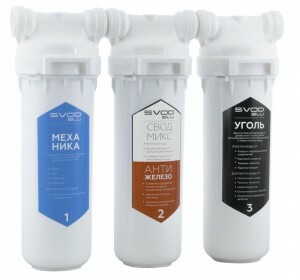 A special design allows you to filter water in any capacity. 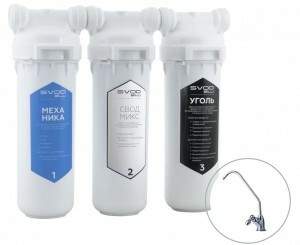 Due to the small dimensions, the filter can be taken with you to the cottage, picnic or hiking. 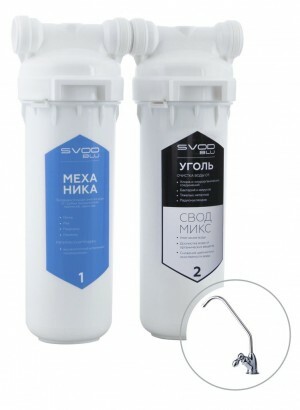 Complete set of removable cartridges for the filter of "ЧистоЛейка"
Two - and three-stage water purification systems under the sink are very easy to use, compact, and very efficient. Depending on the impurities of tap water different combinations of cartridges are possible. 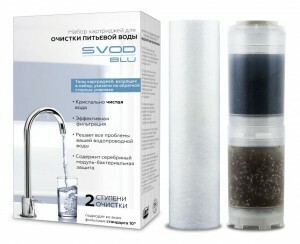 Filters SVOD-BLU" do not only purify water but also have a great life span. 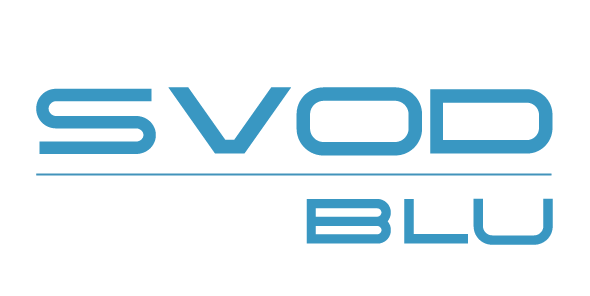 This technology is based on a process that is inextricably occurring in the cells of living organisms and is called osmosis. 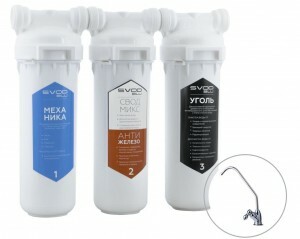 Water, passing through a semipermeable membrane, loses the absolute majority of contaminants that are washed off into the drain by the flow of water. 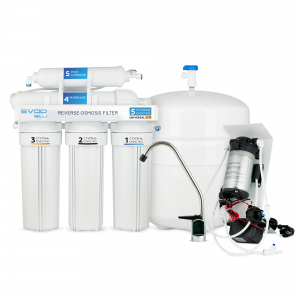 The highest water purification rates and low operating costs make this system an absolute leader among others. 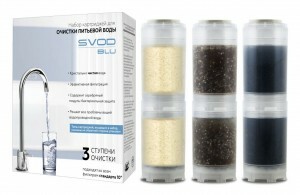 Cartridges BLU SVOD" will make your water crystal clear! 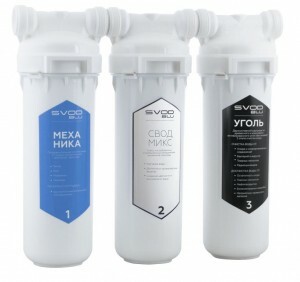 Two - and three-stage sets of cartridges suitable for running filters and prefilters for reverse osmosis from all manufacturers. 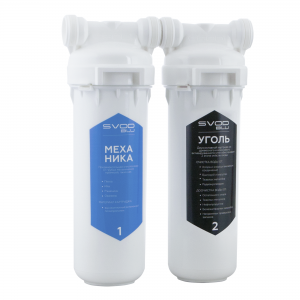 Polypropylene cartridge "SVOD-BLU" 10 "
They are used in domestic and semi-industrial reverse osmosis systems, where the inlet tap water pressure at the inlet to the osmosis is below 2-2.5 atmospheres. 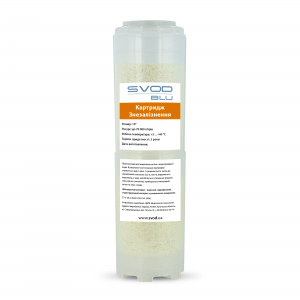 Used if there is a need to increase the productivity of the osmotic system, also if the reverse osmosis system is installed on water with high salt content. 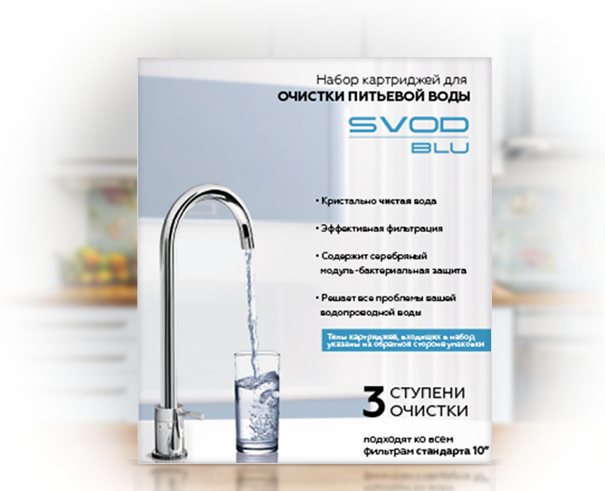 The pump for household systems of reverse osmosis "SVOD-BLU"
Membrane for household systems of reverse osmosis "SVOD-BLU"
Постфильтр-минерализатор для системы обратного осмоса "SVOD - BLU"